It’s time to organize some more stuff! This idea is extremely inexpensive and can be used in so many ways. It’s a cardboard magazine file from Ikea! I didn’t know these little boxes could make my life so easy. 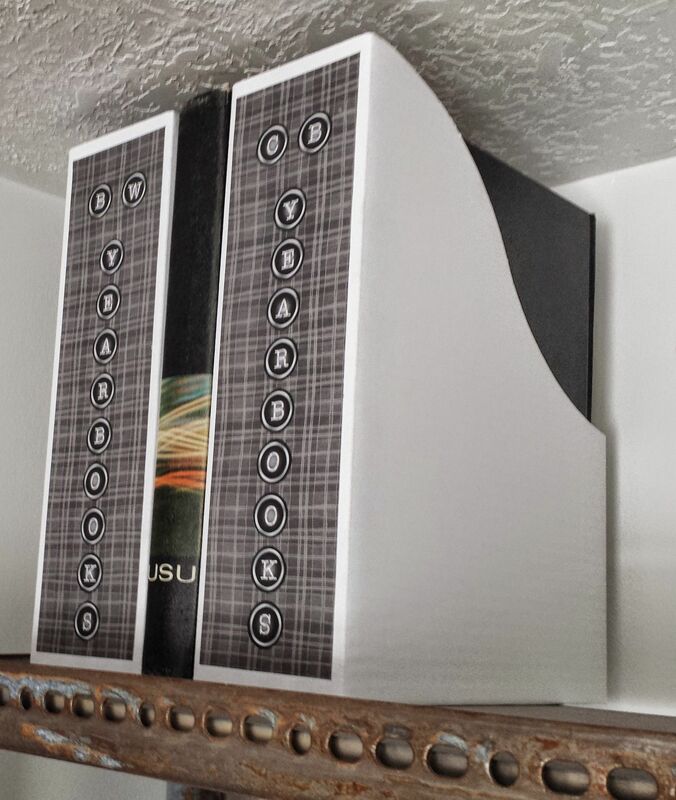 I use them to store all of my piano music (organized by genre of course). I use them to store magazines that I can’t bear to throw away (chronologically of course). 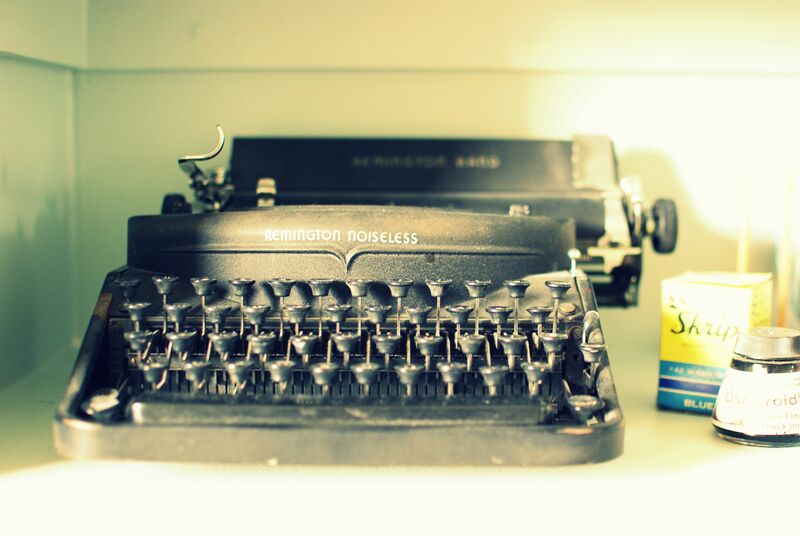 I use them to tidy up all those family histories my mother wrote (alphabetically by subject of course). I use them to hold study guides and reference materials that I might or might never need again (labeled “General Reference” of course). I use them to hold all my junior high and high school yearbooks (times 2 because my husband has a set also). 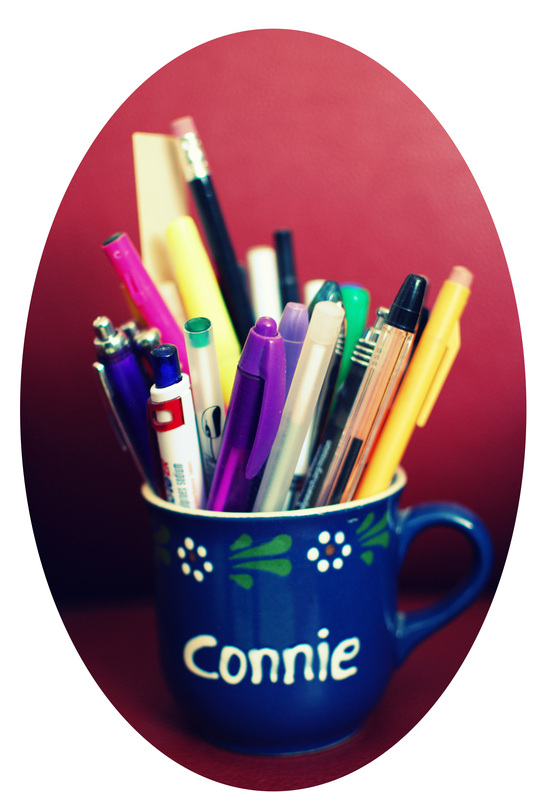 I use them to hold my 8.5 x 11 scrapbooking paper. I use them to hold my printer paper, photo paper, and page protectors. And I made my own larger ones to hold my 12 x 12 scrapbooking paper. The boxes are plain white, but you can see that I dressed up some of them with scrapbook paper and fancy lettering, just for fun. You can buy them at Ikea for $1.49 for a 5-pack or order them online, but beware that shipping charges can cost more than the product. I ordered them from Amazon with free shipping, but had to pay a little more for the product. It was still cheaper than driving to the nearest Ikea, which is now 70 miles away from my home. Shop around, even on Amazon, and find the best deal. And if you caught a glimpse of my newly painted, beautiful gray piano or my aged industrial shelves, stay tuned for a future post on those items! I love 3-ring binders! They are magic! I have banker’s boxes full of empty binders in my garage. I have a hall closet full of binders waiting to be filled. I have shelves of binders currently holding very important information. 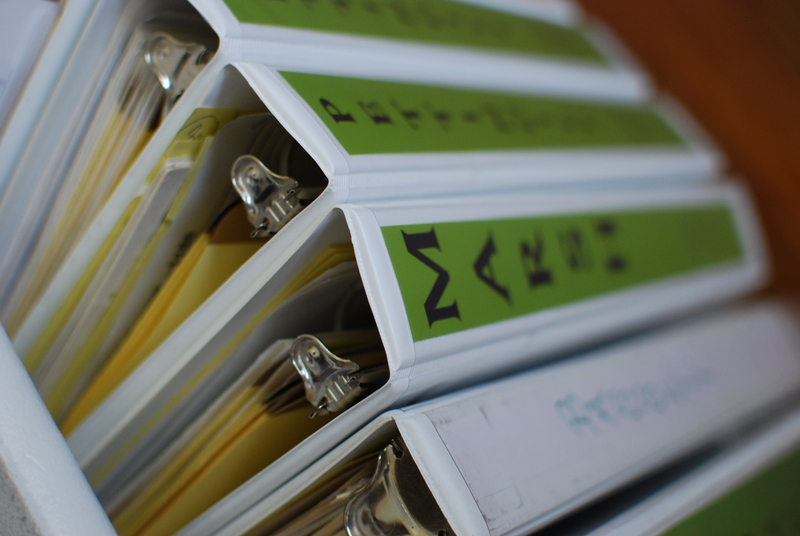 Whoever invented the 3-ring binder deserves a gold star! Why do I need so many binders? OK, so I’m an organization junkie! Organization does not need to be a boring subject! trips we have taken complete with photos, trip journals, maps, etc. 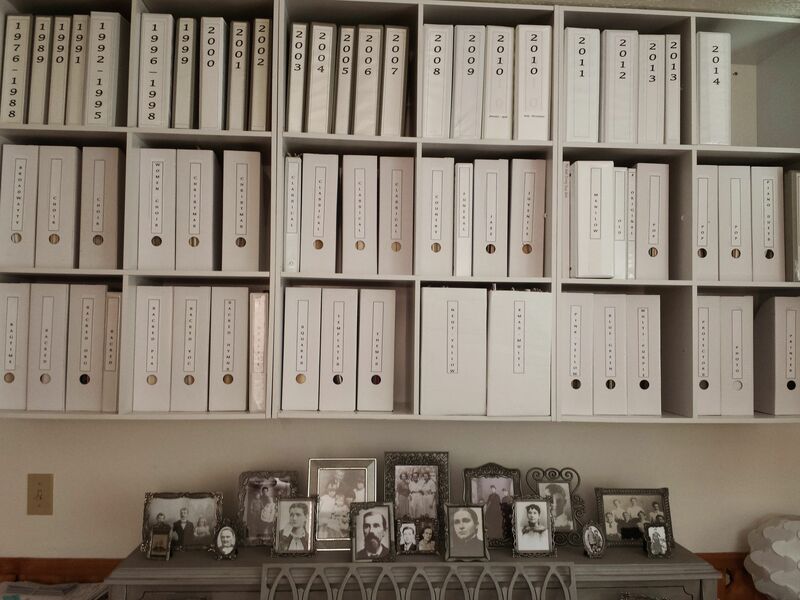 However, the biggest and best reason for binders is to organize my genealogy research. And I have the magic recipe for what’s inside the binder, but that’s for another post. 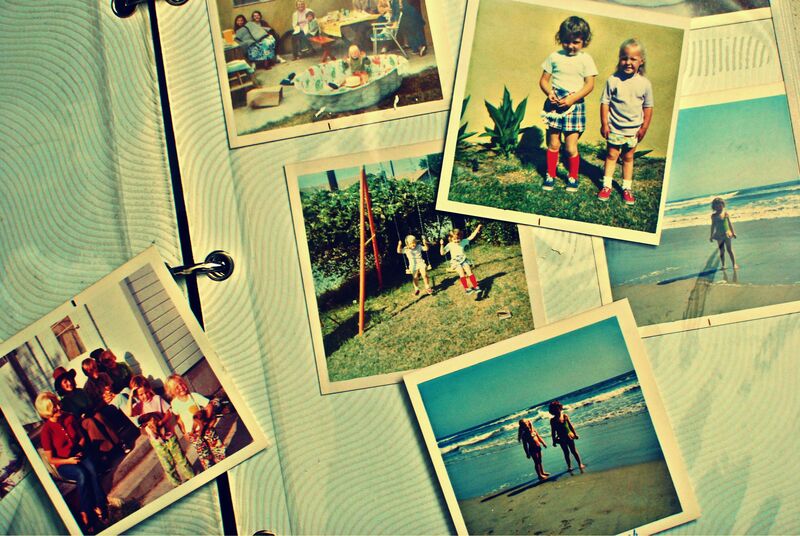 It’s what’s inside the binder that counts! White binders look nice on the shelf. 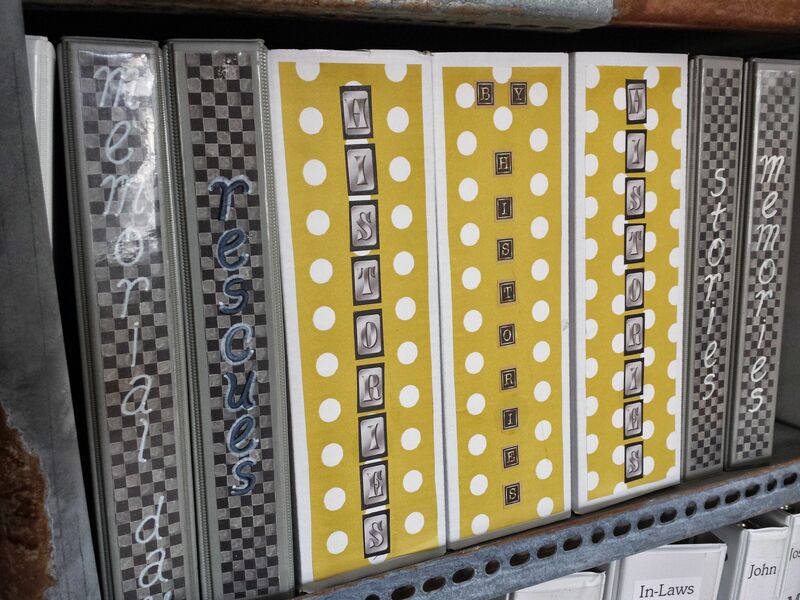 “View” binders can be customized with cute scrapbooking paper and titles printed on the spines. 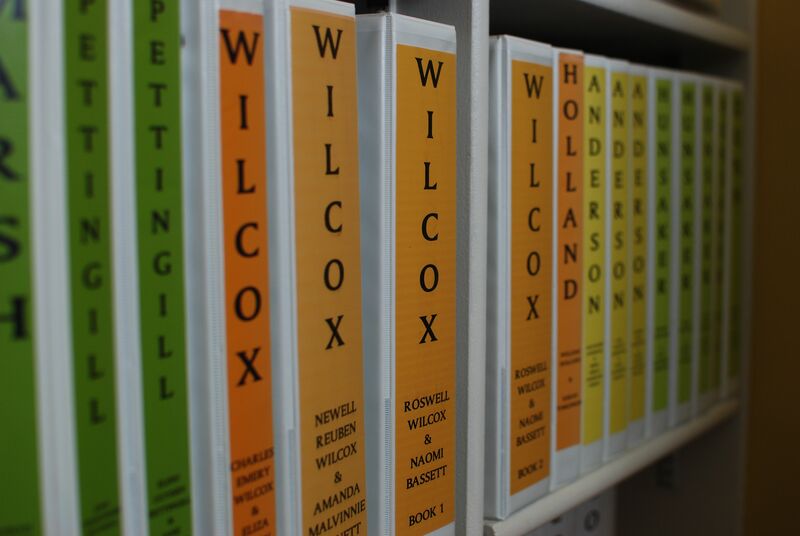 I use scrapbooking paper in four colors (one color for each of my four main families) so they can easily be found on the shelf. 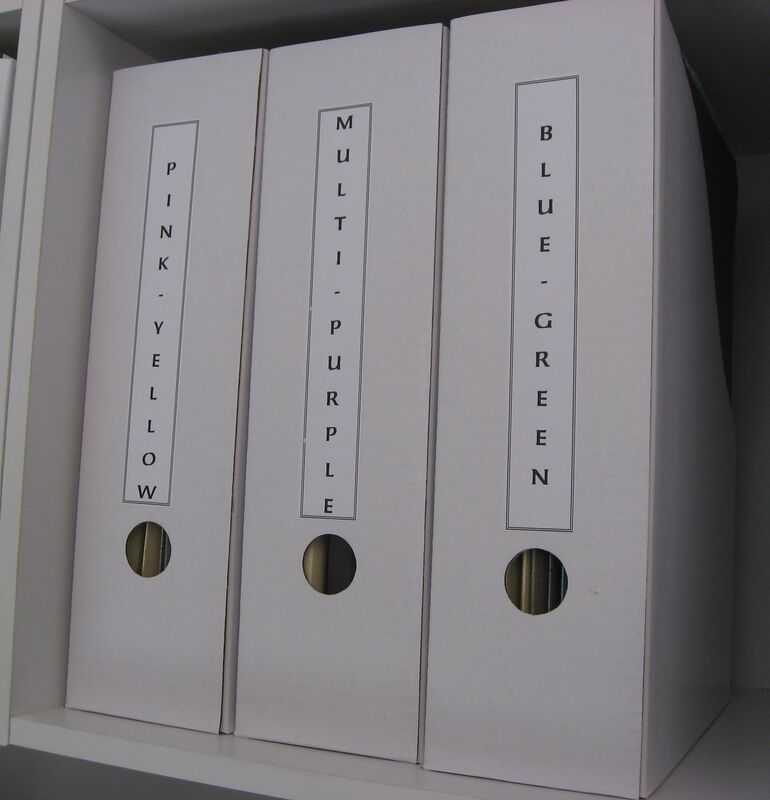 Older plain binders can be covered with cloth or contact paper, etc. 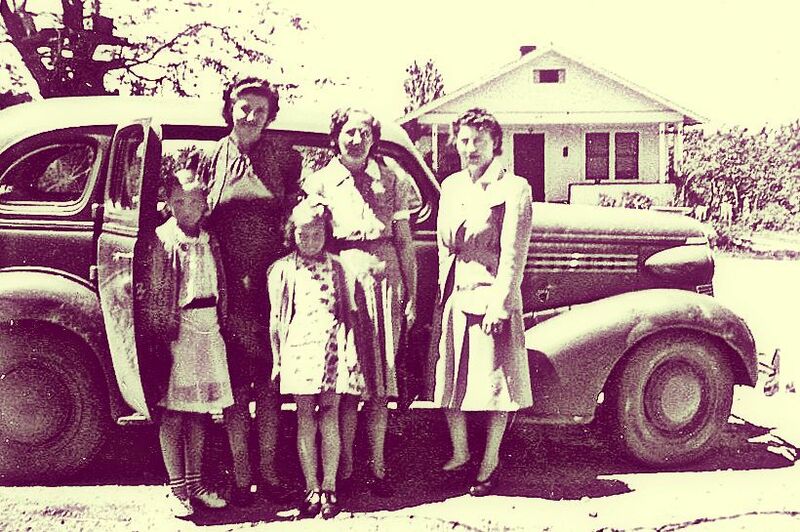 Stock up on 2″, 2.5″, and a few 3″ for genealogy. Binders come in a variety of grades, prices, and ring mechanisms, but check out amazon.com or walmart.com for some good prices. 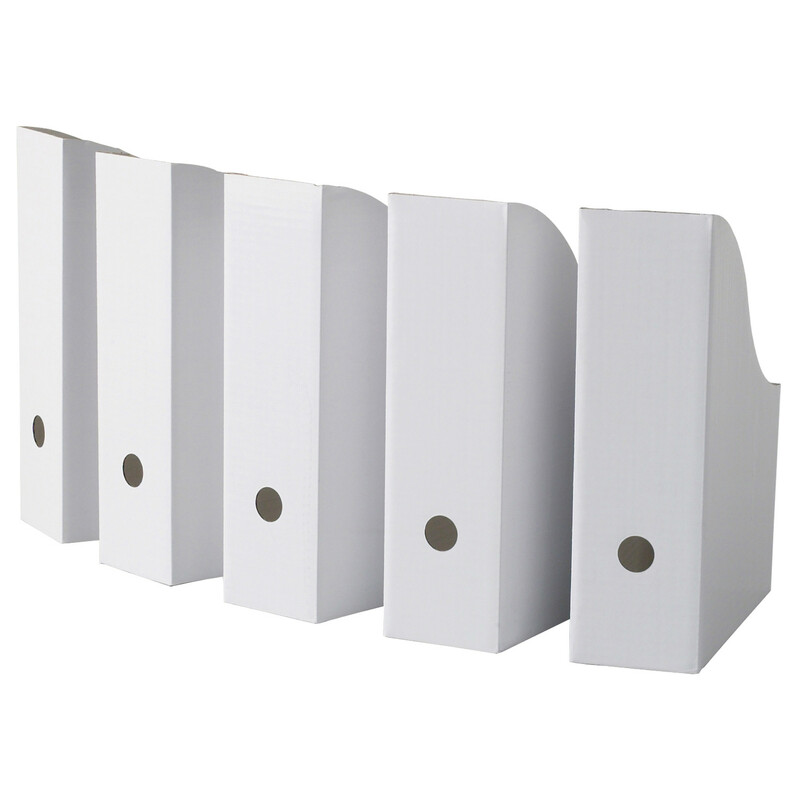 And don’t forget sheet protectors – LOTS of sheet protectors. Buy them by the box at amazon.com or Costco. 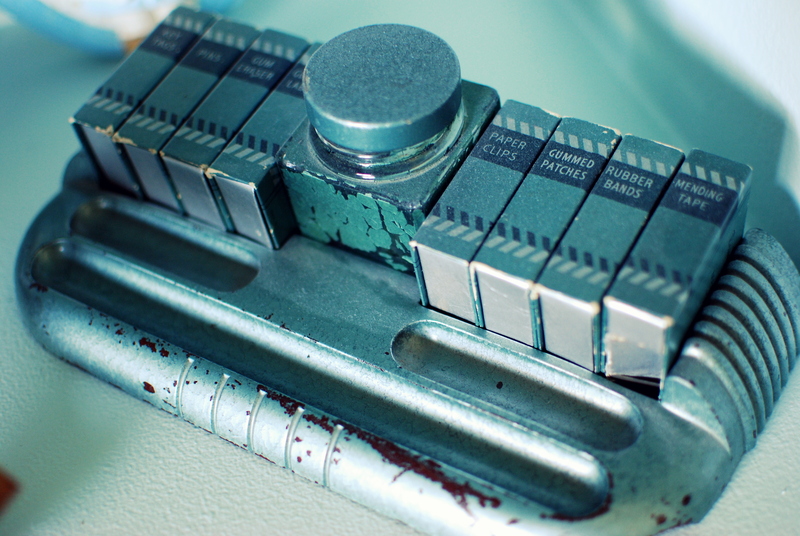 What about being paperless? Are you kidding me? 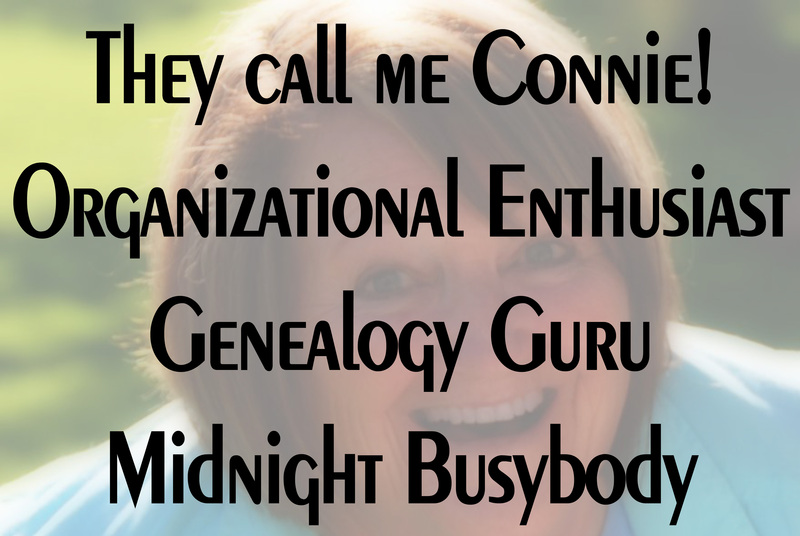 Connie doesn’t do paperless when it comes to genealogy research. 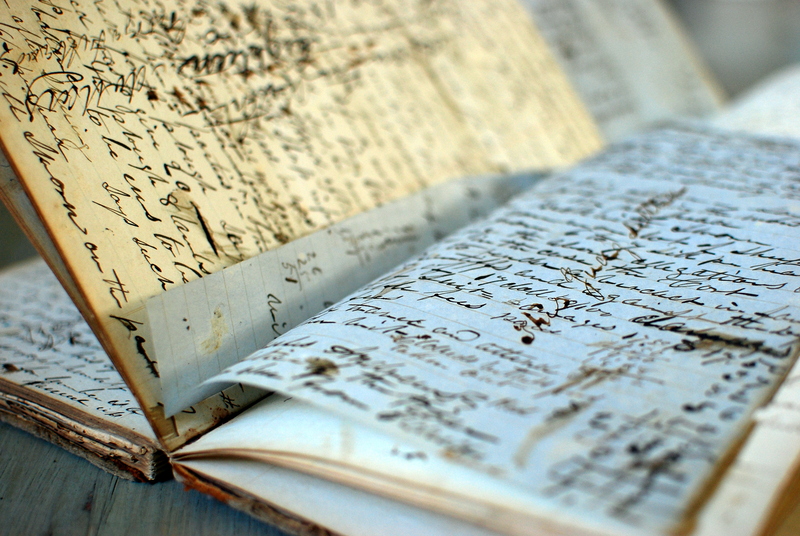 I need my hard copies in front of me where I can think, sort, analyze, scribble, attach sticky notes, and caress my newly-found documents. Besides, when my husband sees all those binders full of research, he keeps helping with the housework and cooking the meals! 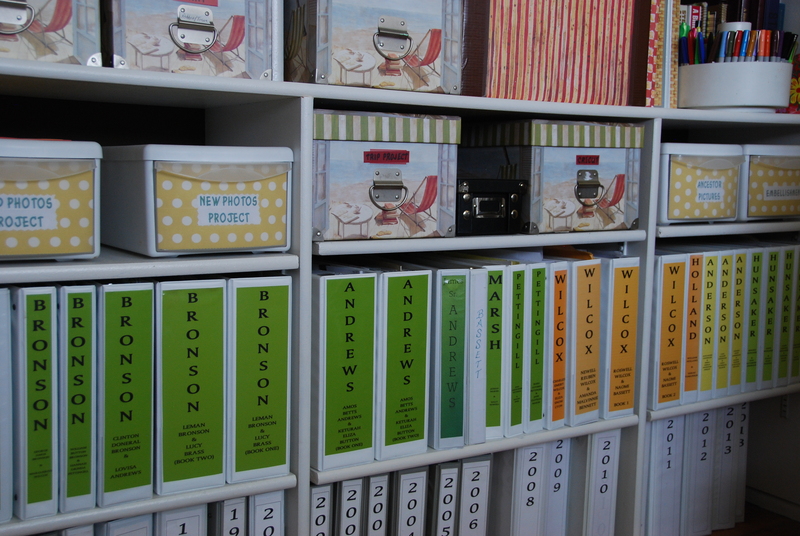 So, buy a few binders, fancy them up a bit, and get ready for research magic (or just use them to organize your life)!